Here’s a testimony that a professional from Boston, USA sent us two weeks ago. Eric S. wanted give you advices about static UPS, that’s why he wrote this article based on his experience. You want to share you experience as well? You can send us a mail, we’ll be glad to publish it on the blog! Taking a decision on the power requirements of a static UPS for your data center, can only be made after taking into consideration the various factors affecting it. 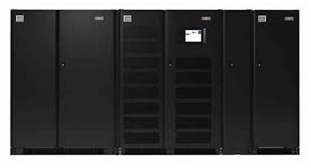 Owing to my experience in this field as a qualified UPS installation and maintenance expert, I can tell you that, one cannot choose the power size of a static UPS for a data center, solely depending on the power distribution scheme.